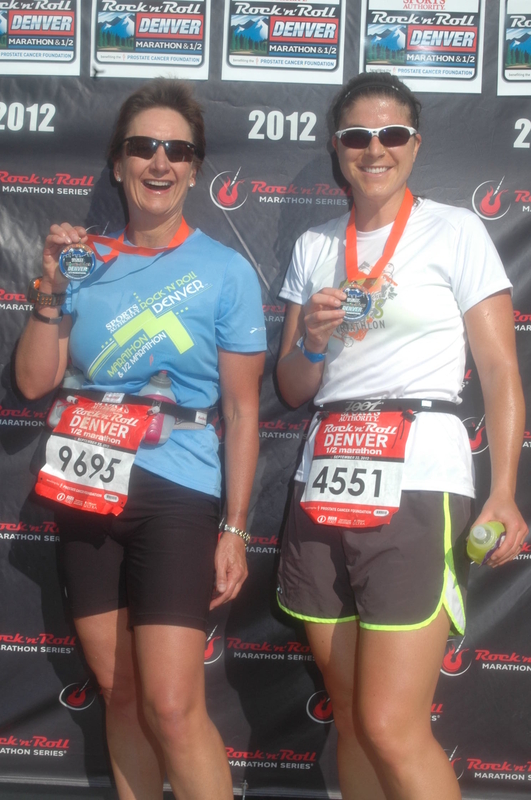 After failing to achieve my run goal in the Harvest Moon long course (half Ironman distance triathlon), I decided to join Heather R at the Rock’n Roll marathon race in Denver. At Harvest Moon, my 13.1 run was really a walk/run NOT even a run/walk. To be honest, I was pretty disgusted with my run result. 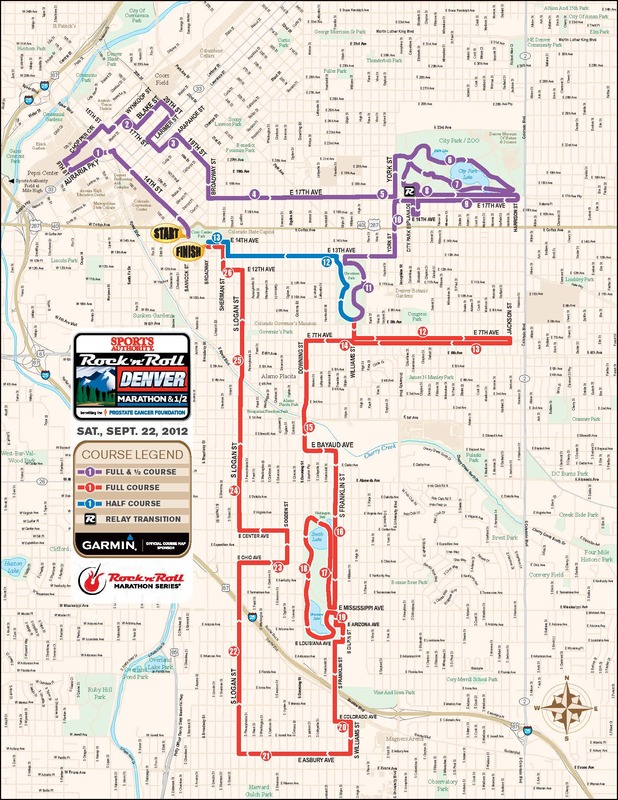 Up to this point my longest running race was the Cherry Creek Sneak 10 mile which I completed in April of this year. In a nutshell, I was looking for a little 13.1 miles of running redemption! The Rock’n Roll was a BIG and well run event. 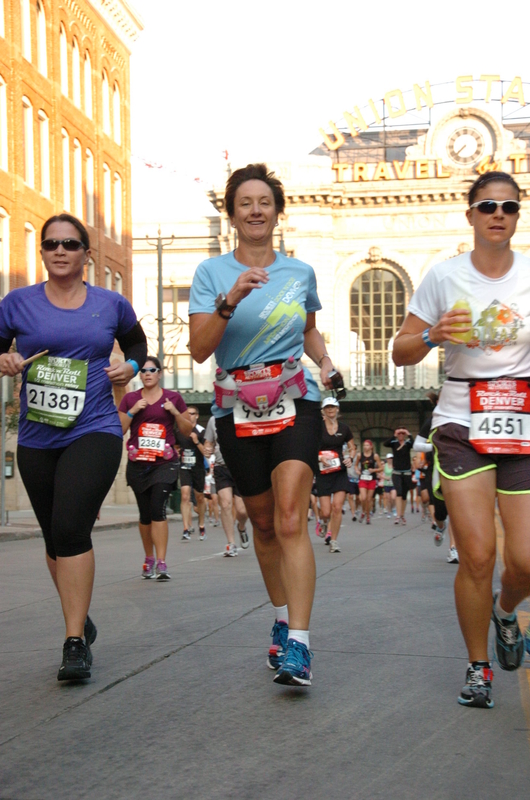 The race included a half and full marathon course option and basically closed down many of the major streets in central Denver. There were close to 11,000 participants spread between the two events and for most of the race the 13.1 folks ran alongside the full marathon runners. As promised, there were bands and music pretty much every mile and aid stations were abundant and well stocked. Pacers ran to help athletes achieve various completion time goals. I didn’t really have a true time goal although I had, at registration, indicated an anticipated completion time of 2:10:00 which equates to a 10 minute mile pace. As Heather and I ran along the course, my legs and feet became a bit achy but not really painful. I didn’t become anaerobic as I successfully managed my heart rate via my Garmin and focused on pacing to keep in my HR Zone 3 until close to the end of the run. I enjoyed the bands and the crowd. I smiled for the photographers. I cheered the bands. And…I ran, I did not WALK and as the finish line approached Heather and I really RAN to a strong finish. The Rock’n Roll marathon ROCKED! Also, I was pleased with my finish time of 2:02:50 @ a 9:22 pace, which put me in the top 10% of my age group. I said to guy #1, that I didn’t think that was too bad for a non-runner and his response was…well, maybe you really ARE a runner now. Thanks #1, you ROCK too! This entry was posted in It's NOT the Destination...It's the Journey and tagged Garmin, Marathon, Rock and roll, Rock'n Roll Marathon, running. Bookmark the permalink.